Organise Your Life And Improve Productivity By Using These Free Tools. Proper organisation of people’s day-to-day undertakings can be demanding and very challenging. Deadline difficulties, forgetting what you have to do, getting overwhelmed as a result of too much activities to process or loosing track of what you planned doing can be a major setback to human development. In most cases, this can have a negative effect on our delivery either as individual, entrepreneur, as a freelance or even in the corporate world. To avoid such setbacks, having a To-Do list can be the simple solution you need. Write down your assignments clearly. If it’s a large assignment, break it down into smaller assignments. This will give more clarity and a better action plan. Read your clearly defined assignments and allocate priorities to the assignments. Don’t forget to differentiate urgency and importance when prioritising. And in return, one would develop the habit of adding value on time and be more productive. Nowadays, planning projects (e.g. Home projects, planning a party, planning finances, school projects, planning a trip, self improvement program, time management, exercise program, shopping lists to name a few) on a paper based to-do list can be a daunting task. Not even in this modern day where technology adoption rate and awareness keeps increasing on a daily basis. Using a free To-Do Lists Apps can help us simplify the process of having to manage so many sheets, re-writing or trying so hard to assign assignments. To-Do List Apps are more efficient, can save time and can help prioritise easily. 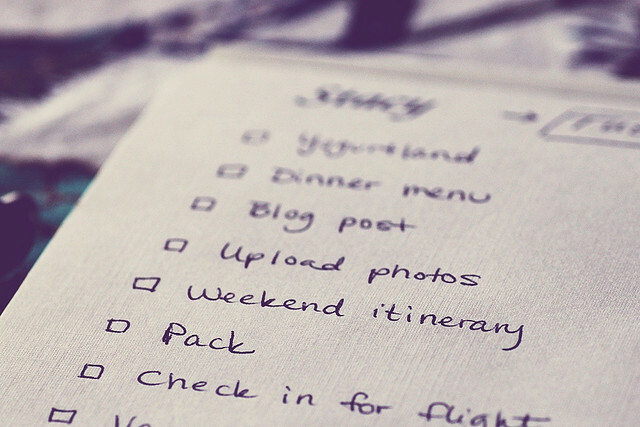 These To-Do List Apps are useful but to maximise its uses, one must be self-disciplined. Below are 10 free To-Do List Apps that can help us plan, organize, manage our daily activities easily and deliver on-time results. GTasks – is a simple and efficient to-do / task management app with Google synchronization. You can customize your to-do list, set reminder, share tasks with your friends, family members or colleagues and sync with your Google Tasks perfectly. With it, you will never miss a task and focus on what really matters to boost productivity. TickTick – is a simple to-do list app, which helps you to get all things done and cloud sync tasks. It is cross-platform, available for Android (UI suitable for tablet also), iOS, Chrome Extension and web. With TickTick at hand, you can organize your life in an easier way. Remember The Milk (RTM) – Take your to-do list anywhere with this feature-packed app; never forget the milk (or anything else) again. Trust me, you can do more than not just to forget the milk (hehehe). Remember The Milk (RTM) for Android connects with the popular online service of the same name. With millions of users worldwide, Remember The Milk is everywhere you are: from your phone, to the web, to your Google apps, and more. Toodledo – is an incredibly powerful tool to increase your productivity and organise your life. More than just a to-do list, Toodledo provides you with a place to store your notes, outlines and habits. Access your data on any device or browser. Todoist – Join the 4-million+ people around the world who are accomplishing amazing things with Todoist – the beautifully simple to-do list and task manager built for the pace of modern life. Whether you need to collaborate with your team, keep track of your most important projects, or just remember to pay the rent, Todoist is there to help you achieve more every day. Pocket Lists – is an amazing universal to-do list app for iPhone and iPad for managing checklists, focusing on important to-dos, reminders, and sharing your checklists with friends. Pocket Lists app understands your input and automatically sets a reminder according to what you typed. Wunderlist – helps millions of people around the world capture their ideas, things to do and places to see. Whether you’re sharing a grocery list with a loved one, working on a project, or planning a vacation, Wunderlist makes it easy to share your lists and collaborate with everyone in your life. Wunderlist instantly syncs between your phone, tablet and computer, so you can access your lists from anywhere. do – Millions around the world use Any.do to capture ideas, things to do, and collaborate with the people around them. From planning your next vacation to organising a big project at work or sharing a grocery list with a loved one, Any.do makes it easy to keep your life organized in one place. Any.do seamlessly syncs between your mobile, desktop, web and tablet so you, and everyone around you, can access it from anywhere. Workflowy – is the world’s best tool for taking notes and making lists. It can be use to be more creative and productive. It is simple to use and incredibly powerful. WorkFlowy can help you manage all the information in your life. If you’re the kind of person, who fills notebooks and notebooks with ideas, projects, objectives and brainstorms, then you should get your hands on Workflow. Planner – is the user-friendliest App that helps you plan better and manages your goals and projects, get focused and accomplish goals much faster than any other method. This App is excellent for personal, business and academic goal setting and task management. Hope the list would help you improve on the way you manage your day-to-day activities or upcoming projects either in the corporate world or personally. Feel free to share and thanks for reading. This is really helpful, especially for an entrepreneur .